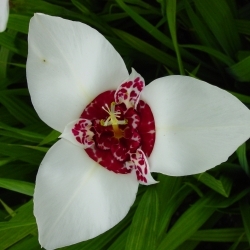 (Aztec Lily, Jacobean Lily), frost tender bulbous perennial related to Hippeastrum (Amaryllis). 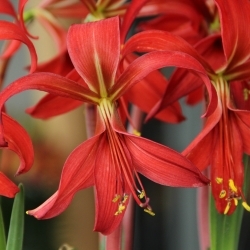 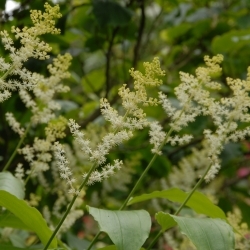 Produces only one exciting scarlet flower per bulb, flowering period: June. We offer bulb size 18/+ Hardiness zone 9-11. deep scarlet flower.